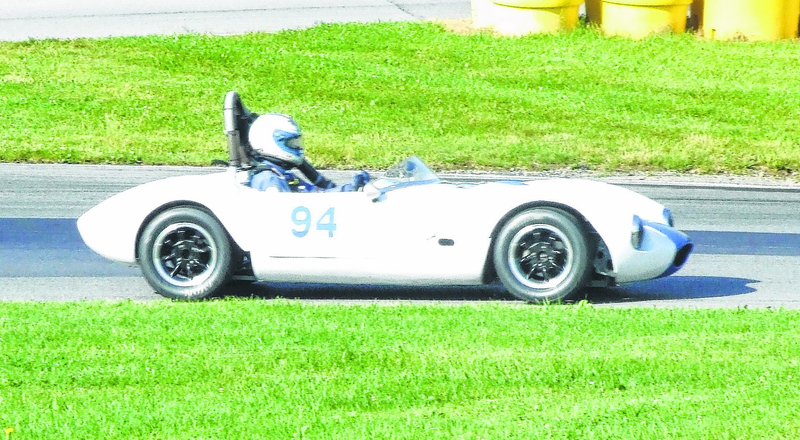 LEXINGTON — The Sportscar Vintage Racing Association (SVRA) returns to the 2.4-mile, 15-turn road course June 22-24. For the 36th consecutive year on the summer schedule, the Vintage Grand Prix will extend its streak as the longest continuously running event held at Mid-Ohio Sports Car Course. With practice sessions beginning on Friday, the first feature race of the weekend will take place on Saturday as the International GT group will compete at 11:20 a.m. The final checkered flag will fall on Sunday at 4:30 p.m. following races from groups such as the Vintage/Classic Endurance and the Historic GT/GTP Endurance. Throughout the weekend there will be races of a wide assortment of race cars, including Volvo as the featured marque for the event and the fifth leg of the Mazda Miata Heritage Cup. Classic cars such as Ferrari, Jaguar, Lotus, MG, Porsche, Triumph among others will all be on track. Overall, the weekend will provide 22 different feature races and over 200 cars are expected to enter, allowing fans to see over 60 years of history of racing’s past. Attendees can also stay entertained with two separate car shows, the British Car Showdown, happening on Saturday, and the Concours d’Elegance on Sunday’s schedule. Attendees wanting to participate in the car shows can sign up during the morning on site and will be able to take a lap around the Mid-Ohio Sports Car Course during the lunch break in their classic car as part of their entry into either show. Show entry is free with a paid general admission to the Vintage Grand Prix of Mid-Ohio. The SVRA, the sanctioning body of the event, was founded in 1978 and is the only national vintage racing organization in the United States. The SVRA provides groups of racing for a variety of different vehicles, while emphasizing the importance of keeping vintage racing fun, fair and safe for all of those involved. Tickets for the Vintage Grand Prix of Mid-Ohio are $30 per day or $40 for the weekend (Friday-Sunday admission). Children 12 years old and under always receive free general admission when accompanied by a ticketed adult. Limited tickets for hospitality access are also available for $90, which includes admission to the event, food and beverage for the whole race weekend and some of the best views of the track from the elevated Mid-Ohio Deck. Motorhome and tent camping is also available. To purchase tickets, visit midohio.com or call 419-884-4000 during business hours, 8:30 a.m. to 5 p.m., Monday through Friday.